Monia Farooqi released her casual wear collection a few days back. Monia Farooqi casual wear collection 2012 for women was featured in Glam Magazine, September Issue 2012. This collection consists of quite creative and unique outfits by Monia Farooqi. The outfits’ color combinations are also very creative and nice. 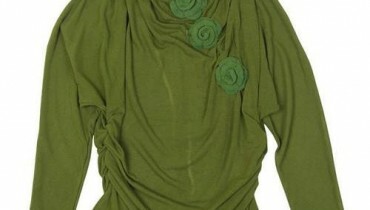 Monia Farooqi casual wear collection 2012 is more suitable for younger women than older women. Overall, the outfits in Monia Farooqi casual wear collection 2012 are trendy and stylish and are perfect for modern women who want something new and unique in their wardrobe. Monia Farooqi is a talented dress designer of our country. She has a zest for life and a passion for her work, both of which can be seen in the outfits of Monia Farooqi. She has become quite popular over the years. She has participated in different fashion shows like the Patene Bridal week. Monia Farooqi provides outfits of many different kinds. These include bridal wear, formal wear and casual wear. The designer is quite creative in her outfits. Moreover, formal wear and bridal wear outfits by Monia Farooqi have detailed and heavy work of dabka, sequins, diamontes, etc on them. Monia Farooqi casual wear collection 2012 can be viewed in the photographs below. Umair Bin Nisar is the photographer of the shoot. The model is Huma Khan and makeup has been done by Sabs Salon. If you want to obtain further information about Monia Farooqi casual wear collection 2012 or the designer in general, then go to the Facebook fan page of Monia Farooqi. You can find out how to order dresses by Monia Farooqi through this page. Apart from this, the previous collections of Monia Farooqi can also be seen on that page. The address of Monia Farooqi facebook fan page is given below.